Single Pair Ethernet (SPE) is a hot topic in the market for industrial cabling. HARTING provides the right IEC standardised interfaces for this, making the leap as a pioneer of Industrie 4.0 from a technology trend to real-life application and a customer-specific solution. The HARTING stand will include the first IP20 interface designs consisting of a connector and a PCB socket. The core of this new HARTING T1 Industrial series is a standardised SPE mating face that can be used for all housing variants from IP20 to IP65/67. 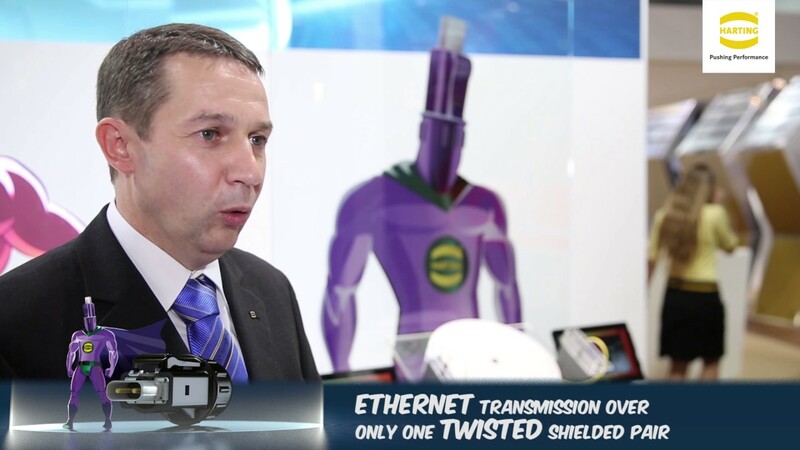 HARTING has adapted its connector concept to future requirements and can handle 1GBit/s for shorter routes as well as 10Mbit/s for longer distances with one standardised mating face.